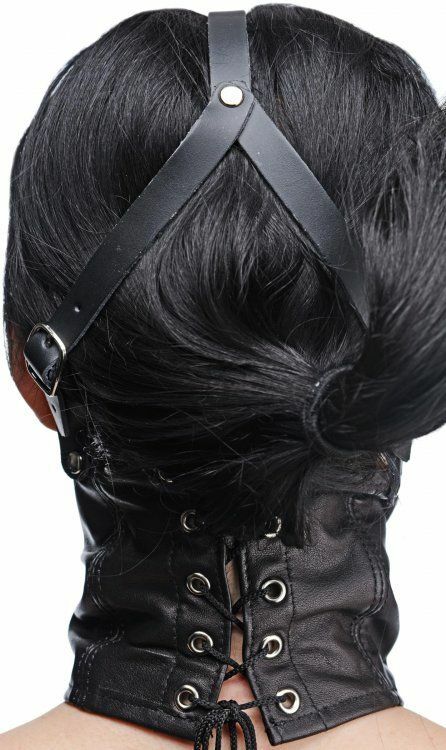 This soft and comfortable leather neck corset laces in the back to fit most neck sizes, rising up in the front to cover the mouth of your submissive play thing. A soft, pillow-like gag sits at the front of the device, perfect for stuffing into their mouth to keep them quiet. Adjustable straps secure over their head for a fully-harnessed aesthetic and confinement.